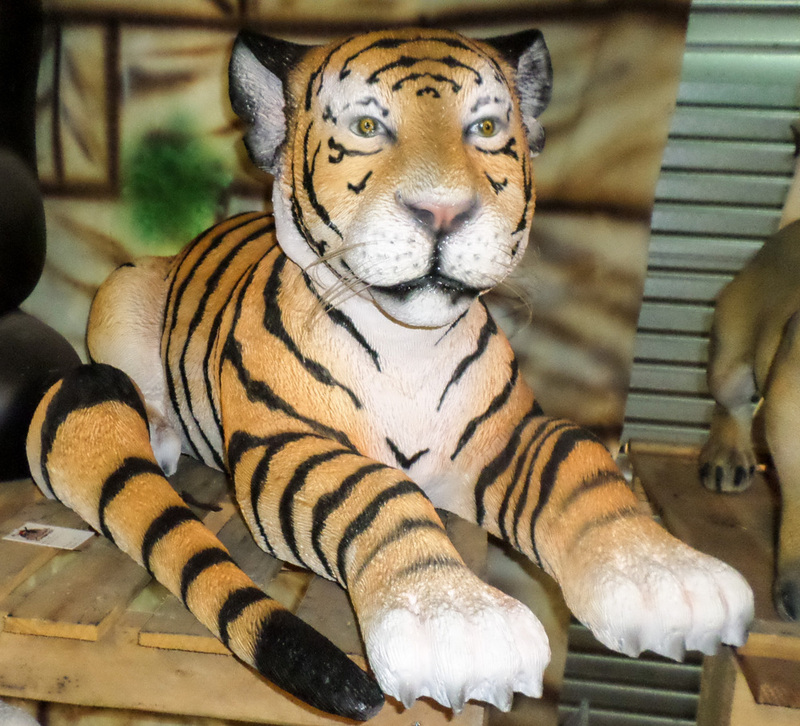 One of three new model Tiger Cubs, our lazy lying down cub looks great with the other Tiger models and Indian creatures in our wild animal series. 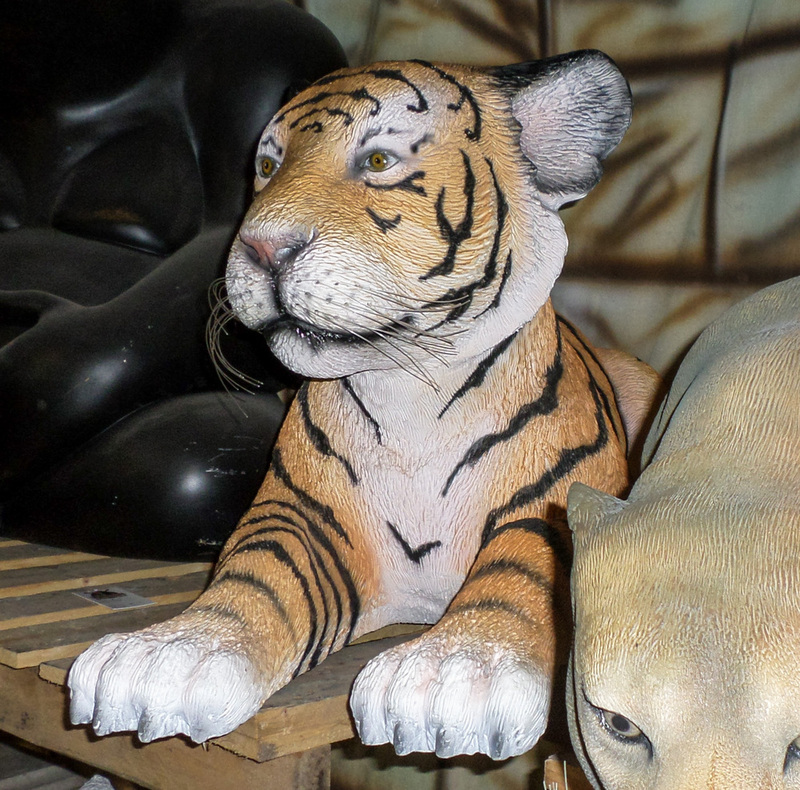 This resin replica of a tiger Cub in a lying down pose is great for jungle and Indian theming, children love him and all the other baby animals we supply! NB -DELIVERY - Please note that the delivery price quoted through the website ordering system is based on average delivery costs to mainland UK address when the ordered item or items are sent through a courier service. Please phone to confirm cost. For large items the delivery cost relates to the number of lorry pallet spaces required. However, wherever possible we try to personally deliver large items to your door when we can combine deliveries in an area; this does require flexibility for delivery date. Delivery charges on orders for multiple items will of course be discounted accordingly.